Angenieux has been known as a French maker which produces high quality cine-lenses for professionals. Fortunately, they produced some high-quality lenses for 135 format as well. 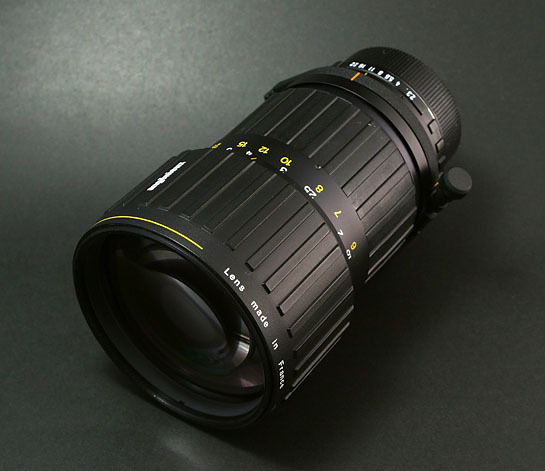 This lense is a good example of their accomplishment of 180mm with Apo-quality as well as f2.3. 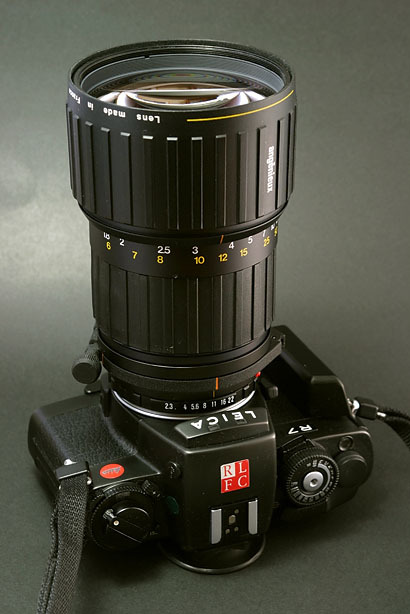 As a contrast Leica only produced Apo-quality lense with f3.4 at that time. When you look at the outer cover of this lense, it looks as if it is a part of plumbing, since the material is so-called plastic. However, even compared with the Leica's recent Apo-Elmarit-R 180mm/f2.8, this lense brings almost similar image which proof that this lense is still on the cutting edge of those lenses. It has a huge front element and heavy weight. And now, we started to realize that the cheap-looking outer material was purposefully used in order to maintain its weight to be acceptable for the hand-held use. This is made in France!